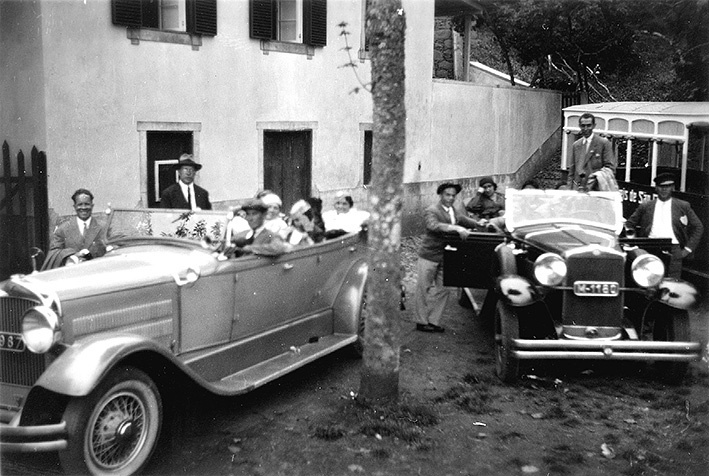 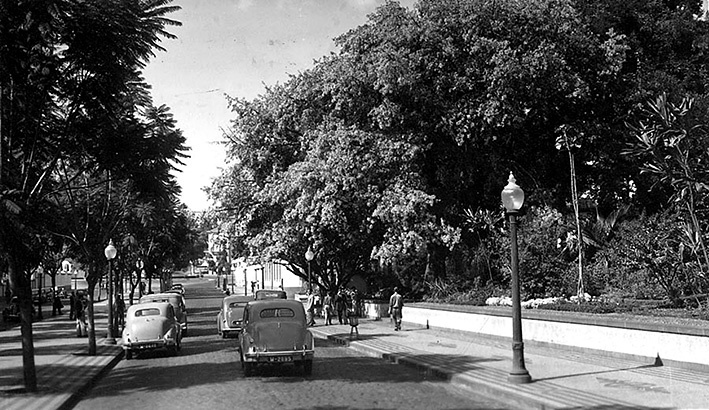 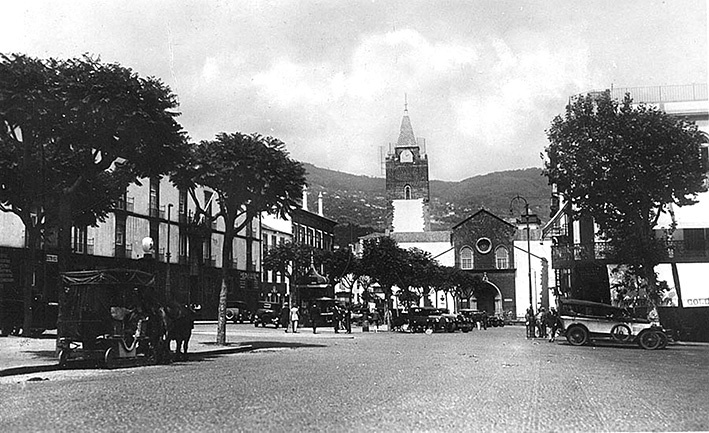 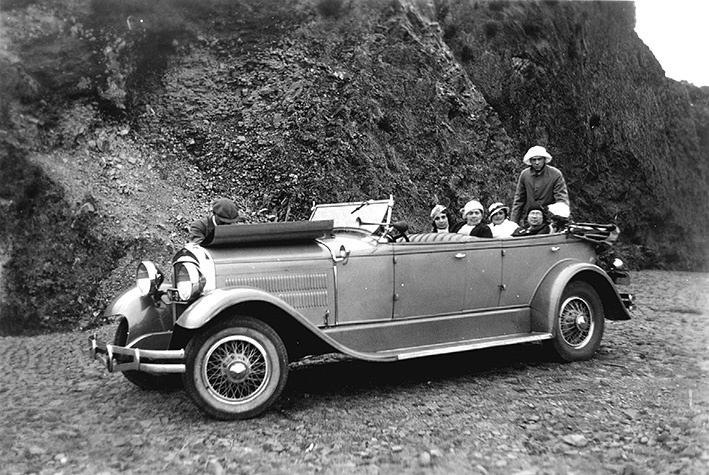 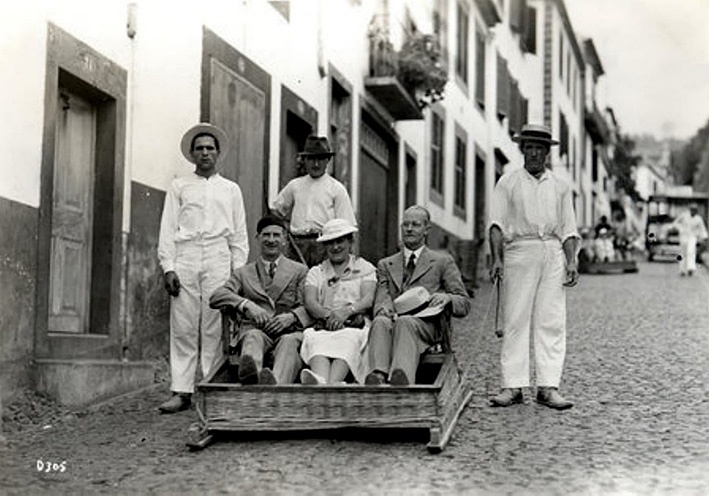 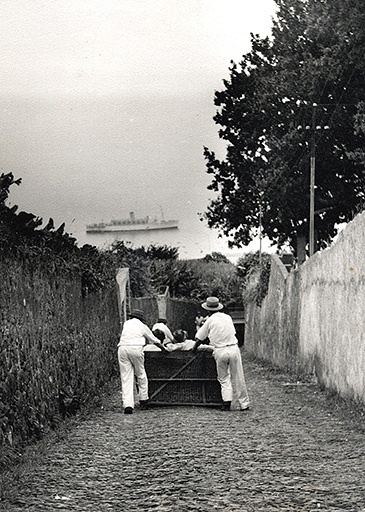 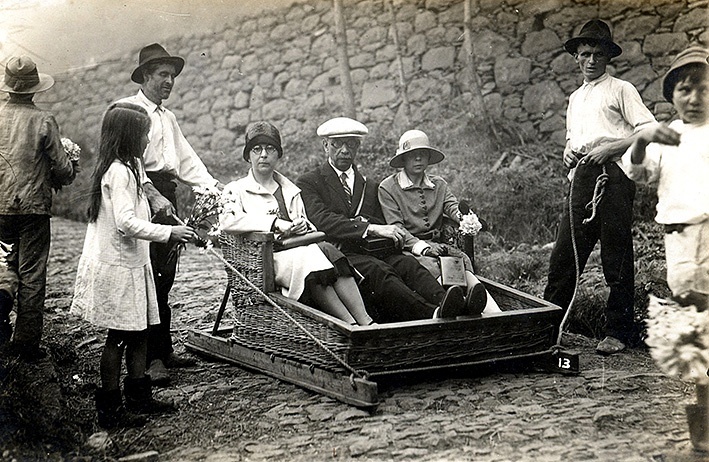 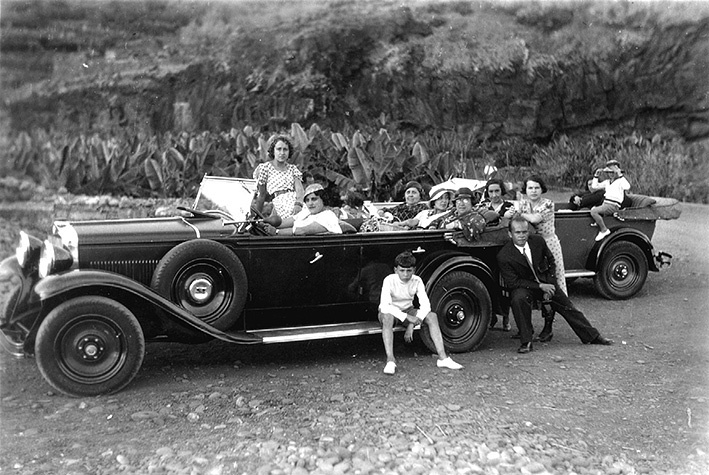 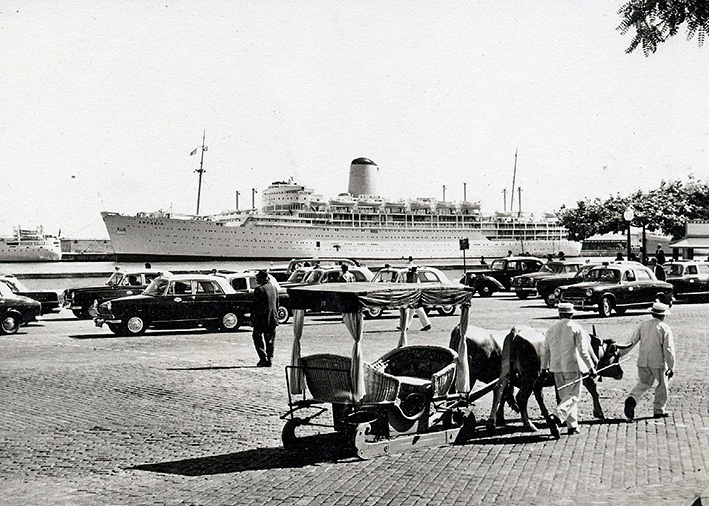 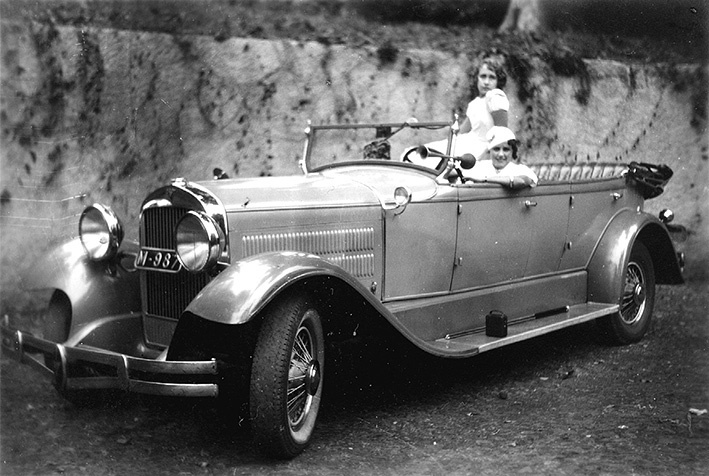 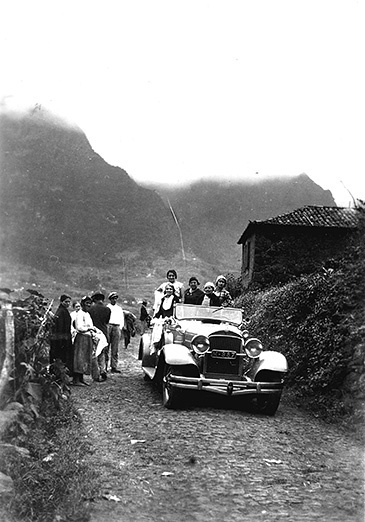 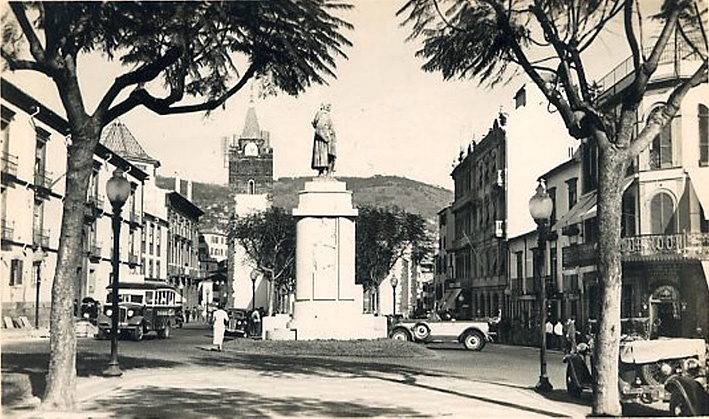 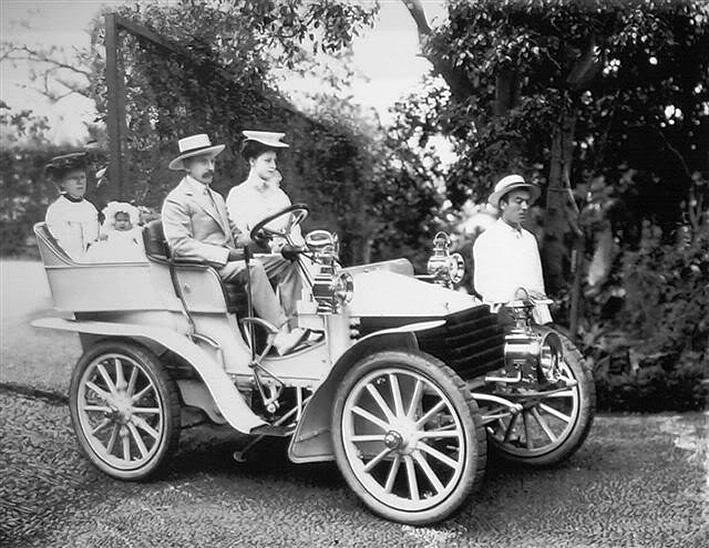 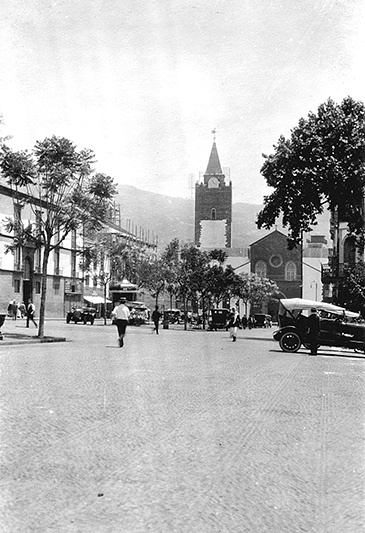 View our selection of old photographs of Madeira’s early transportation. 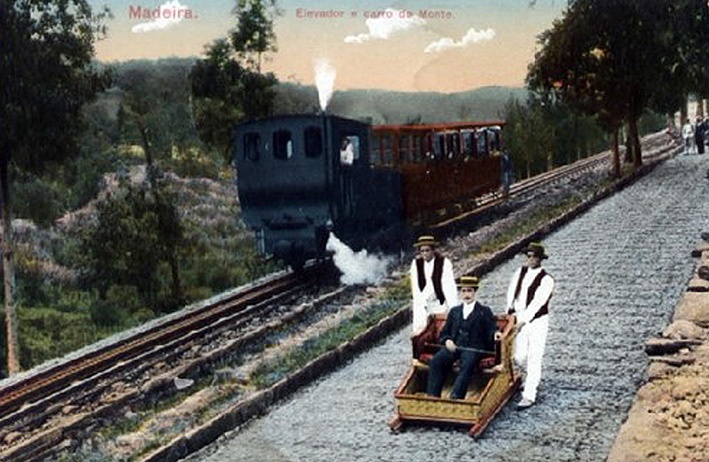 The Monte train was built in 1891. 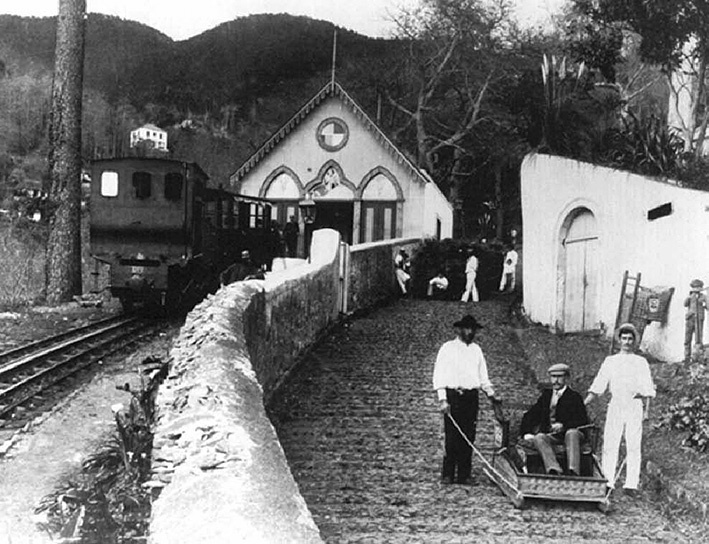 It connected Funchal to Levada de Santa Luzia in an 1000 metres trail. 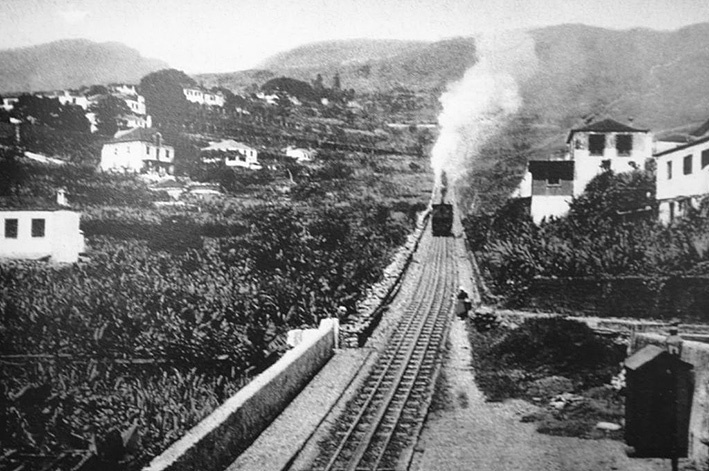 The Monte train in 1900. 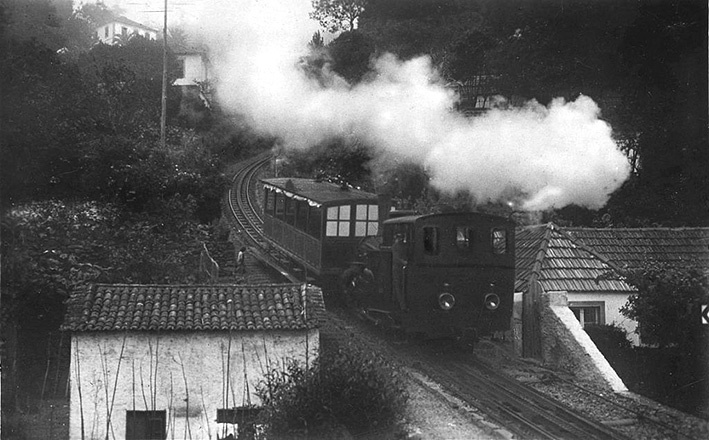 At this time the train already went to Monte. 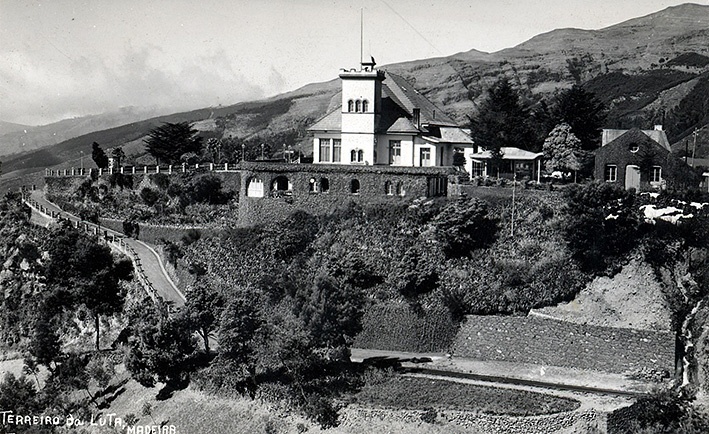 1500 metres from the previous station (Santa Luzia) and 2,5 km from Funchal. 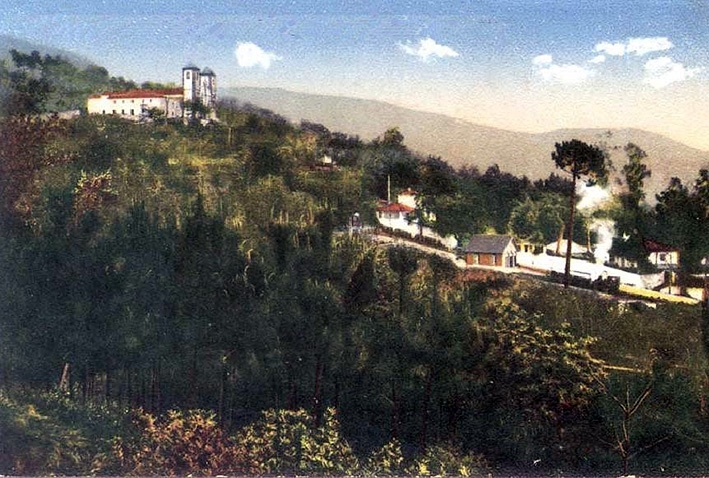 Terreiro da Luta Restaurant and Train Station. 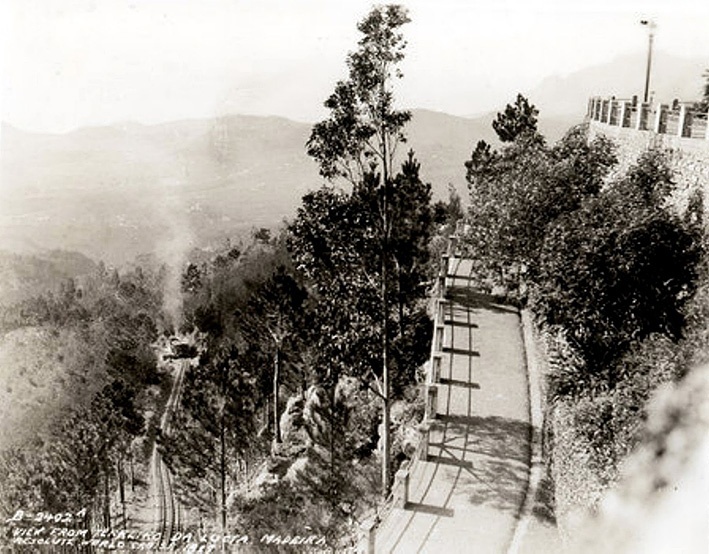 In 1912 the Monte Railroad reached Terreiro da Luta, making the trail 3,911 metres long and reaching 850 metres high. 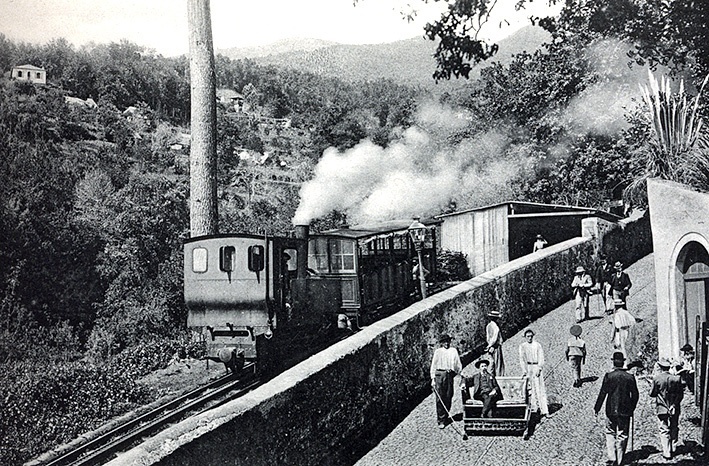 The Monte train at Terreiro da Luta Station in 1936. 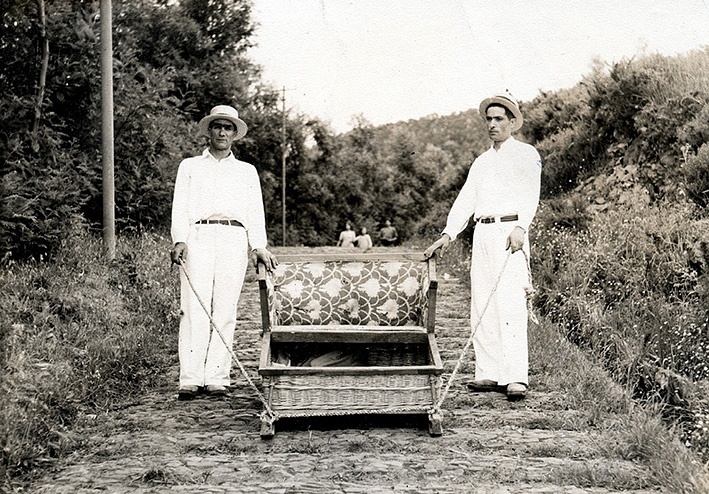 The Monte train next to a wicker basket toboggan. 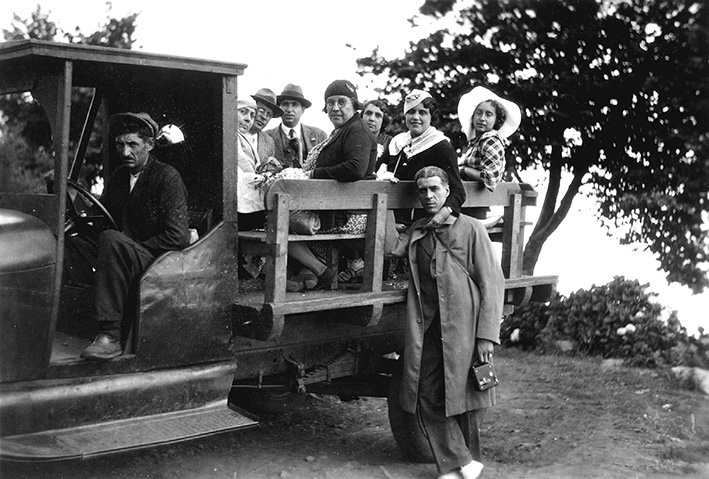 As this 1916’s picture shows, the ride must have been a scary one. 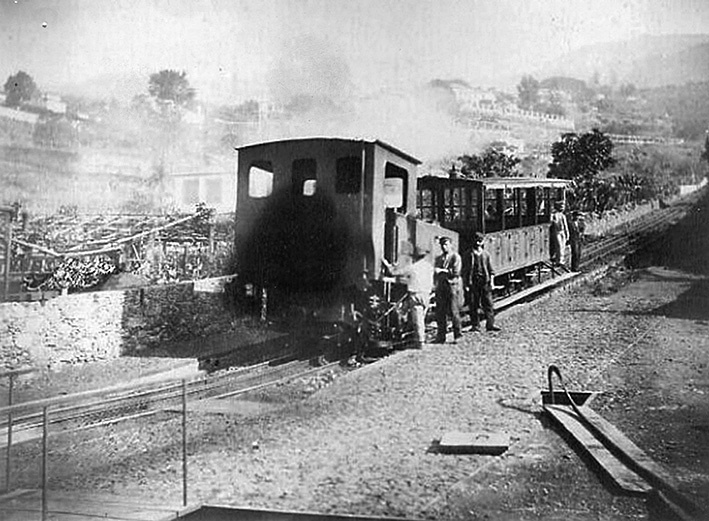 In 1919 one of the train boilers exploded on the way up to Monte. 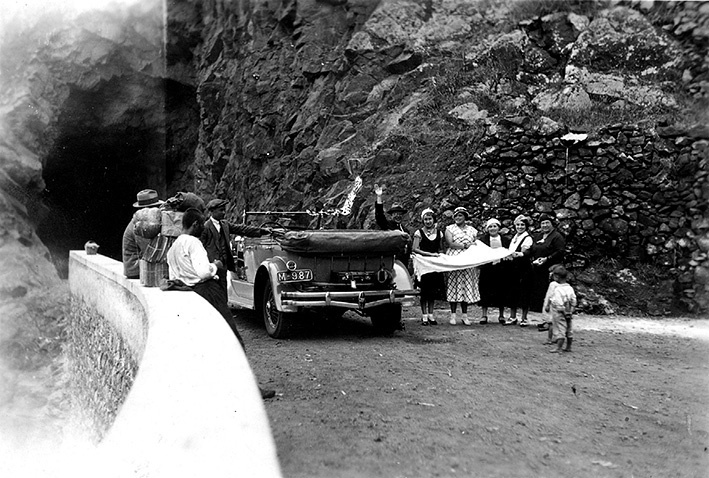 From this accident 4 people died and several were injured. 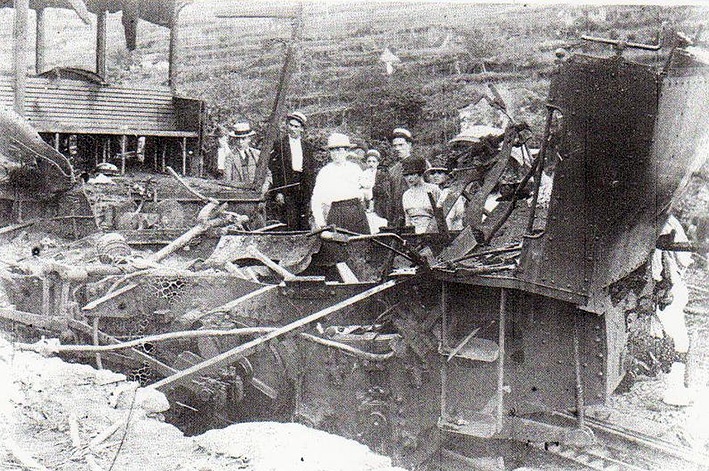 Then in 1932, the train derailed. 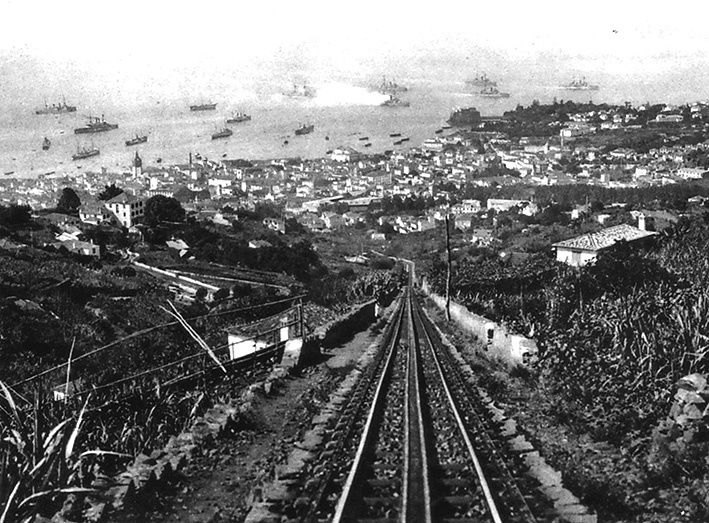 From that date on, people stopped using the train as they found it too dangerous. 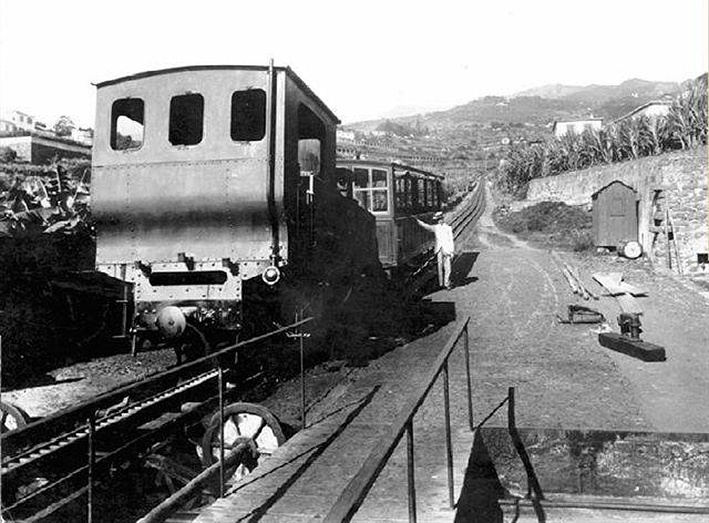 The train’s last journey happened in April of 1943 and the railroad was soon demolished. 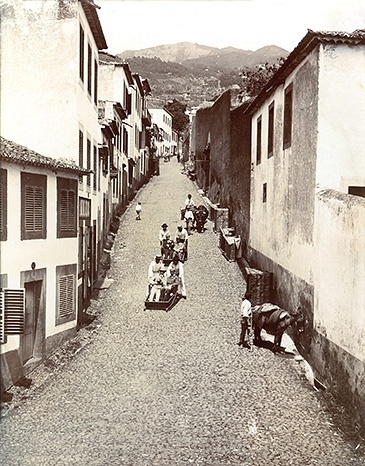 The downhill journey to Funchal, reaching a speed of 48 km/hour. 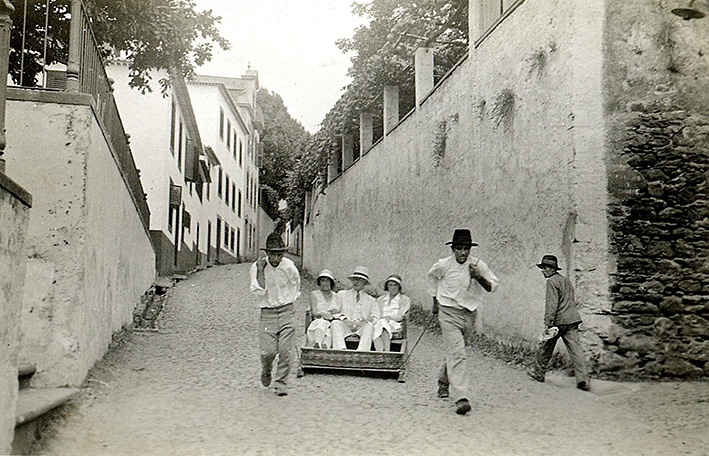 Toboggan drivers traditionally dressed in white cotton clothes. 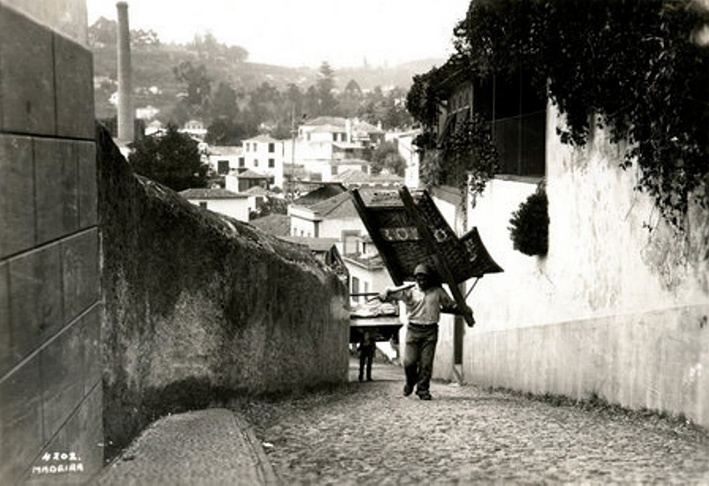 Toboggan driver carries sled on his back on foot back to Monte - 1930.